Justin was born and raised in Fort Worth, Texas. He grew up listening to a wide variety of musical genres that spanned multiple generations. From George Strait, Hank Jr., Travis Tritt and Garth Brooks, to the Eagles, James Taylor, Jim Croce and Billy Joel, Justin listened and sang along to whatever was on the radio. At the age of 7, his mom took him to a pawn shop to buy his first guitar. However, it wasn’t until much later that he decided he should take his talents and musical abilities to the stage. Justin served five years in the United States Navy, and after completing his honorable service, he came back to Texas to earn his bachelor’s degree from the University of North Texas and a master’s degree from the University of Texas at Arlington. He served the City of Arlington, Texas as a police officer for six years, and left the police department in 2012 to start a Real Estate company with his wife. Shortly after starting their Real Estate business, Justin got the itch to start playing guitar and singing. Within 6 months, he started a band, and just a few months later, they were playing local gigs and private events. Justin’s first EP was officially released in July 2015 and is second EP was released in June 2016. 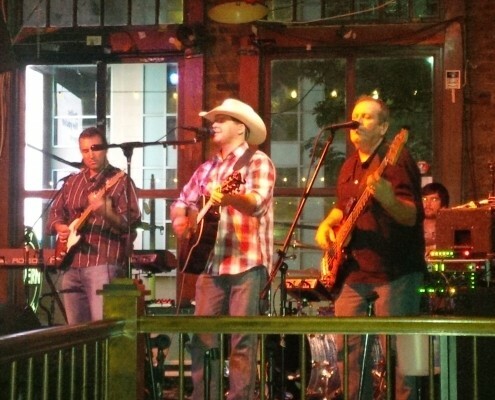 Billy Bob’s Texas, San Antonio Rodeo, Rodeo Exchange, Silver Saloon, Adair’s Saloon, Gas Monkey Bar N’ Grill, Love and War, Thirsty Armadillo, Railhead, City Tavern, Tolbert’s, Copper Top Saloon, Old Texas Brewing Co., Rahr Brewing, Del Norte, GrapeFest, Main Street Days, Chocolatefest, Lewisville Western Days Festival, Great Taste of Grapevine, Frisco Music in the Square, Best Little Brewfest in Texas and much more. Boone is from North Richland Hills, Texas. He grew up listening to his dad’s country music cassette tapes. 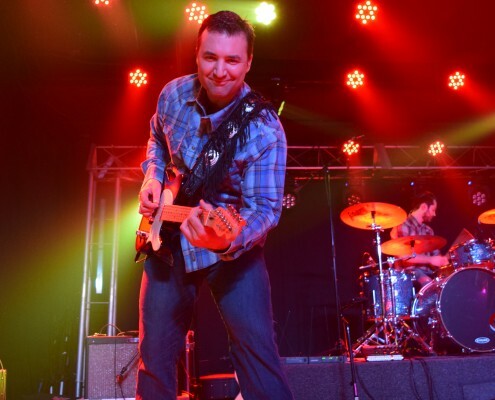 Although he enjoys many styles of music, he admits there is nothing like tapping your boots to a sound of a twangin’ Telecaster! Boone is the father of three sweet and energetic children, and the husband of one good-hearted woman. Boone is a fightin’ Texas Aggie electrical engineer and a registered Professional Engineer in the great state of Texas. Interests aside from pickin’ include fishing, woodworking, mathematics and tinkering in the garage! 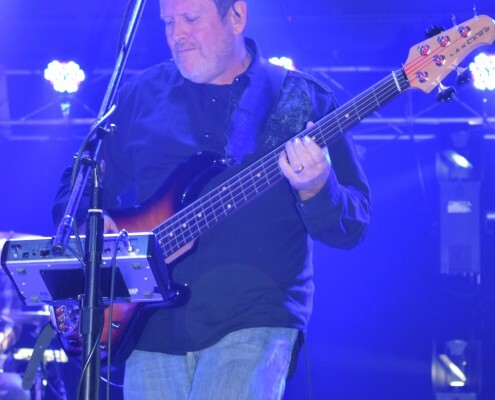 Bob Hallgren, bassist and groove master, joins Justin Mason with over 30 years of music history under his belt. 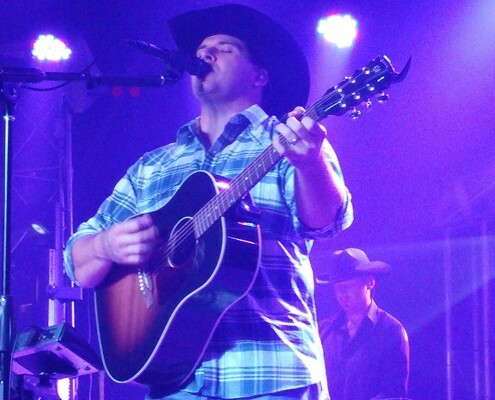 His genre repertoire includes pop, rock, blues, funk, worship and country. As if that weren’t enough, Bob is also a beloved husband, father of three, and five time grandpappy! While Bob’s “right brain” enables him to rock with the best of ‘em, his “left brain” moved him through multiple radiopharmaceutical companies and eventually landed him here in the DFW area as Cyclotron Facility Manager for UT Southwestern. 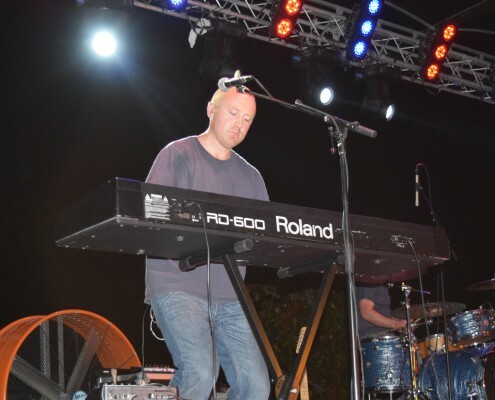 When not managing cyclotron operations or rocking the stages, Bob enjoys traveling, cooking and spending quality time with family and friends. Fresh in from Chicago, Illinois, Bob is laying down his roots in Irving, TX and plans to stay a while! 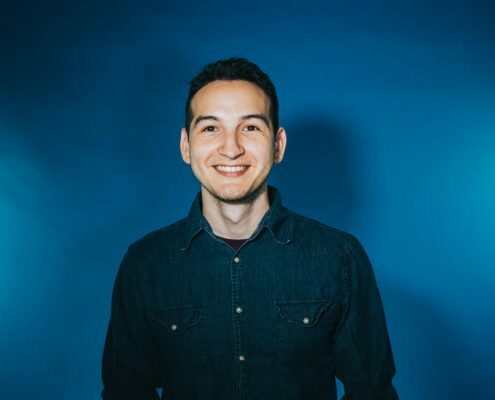 Nic Gutierrez lives in Grapevine, Texas and works as Director of Youth Ministry for a Church in Arlington, Texas. He served two years as a missionary with NET Ministries & later attended the University of St. Thomas (MN) where he earned a Bachelor of Arts in both Catholic Studies & Theology. 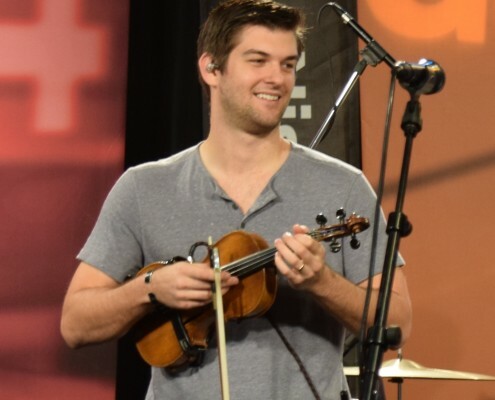 Aside from speaking & music engagements, Nic enjoys building up the domestic church with his wife Emily & three kids, woodworking in his shop, and gigging locally with Justin. Vic began studying music at age 3 in a family of musicians. He grew up with a bow in his hands, and by the age of 17 had built a fruitful young career both at home and internationally as a budding solo performer. As a first-generation American raised in rural Illinois, Vic elected to forego further music education & performance at age 18 in order to pursue a nomination to the United States Naval Academy at Annapolis MD. He graduated from USNA having earned a commission as an Officer in the United States Marine Corps. Serving proudly until 2016, and having carried a fiddle at every duty station from North Carolina to Bahrain, Vic came home to the U.S. to reside in Texas where he is thrilled to return to his first craft and contribute to the thriving music community in Texas. Adam Roberts joins the band fresh off a short stint living on the west coast. During his youth he trained in classical piano, and played various instruments in jam bands throughout high school and college. Although many of these groups have moved on, he admits that music is one unique passion that keeps everyone in contact throughout the years. Originally from Philadelphia, PA, he has lived in 6 states over the past 7 years working in aerospace manufacturing. His travels introduced him to the many cultures this great country has to offer, coast-to-coast. He currently runs a real estate investing business with his girlfriend, Emily, in Fort Worth, Texas. His interests away from work and music include Penn State football, the outdoors, and piloting piston aircraft.